The HC-20 is now available to order with or without the mounting bracket. 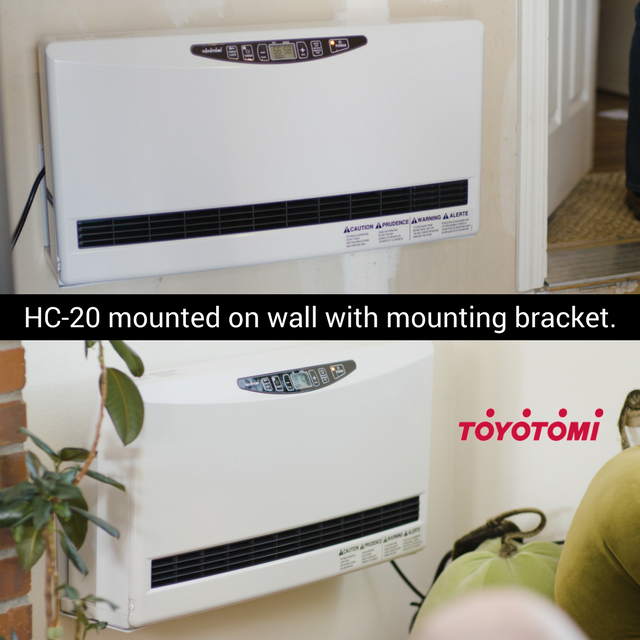 Whether your customers want to put an HC-20 in their garage, living room or in a bedroom, the mounting bracket makes installation simple and easy. Time is almost up. Rebate ends 3/31/2018. Don’t miss out on this promotion, make sure all your employees know about it and share it with every customer. 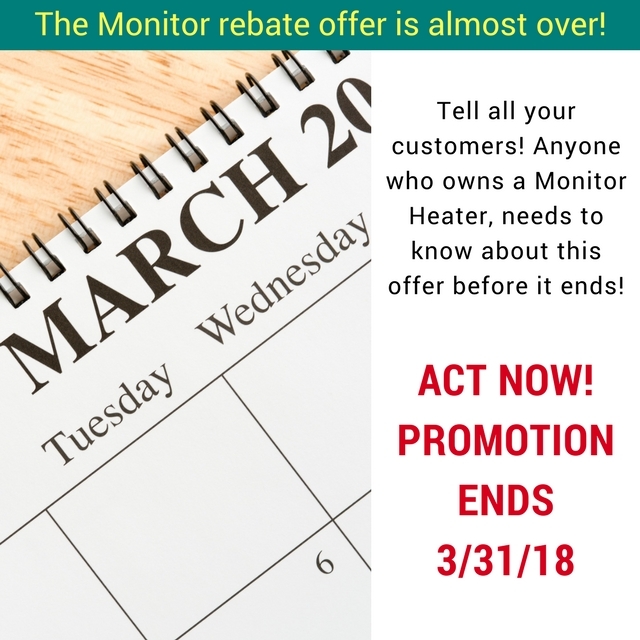 For details about the Monitor trade in rebate click here. NordicStove Models are excellent portable heaters. 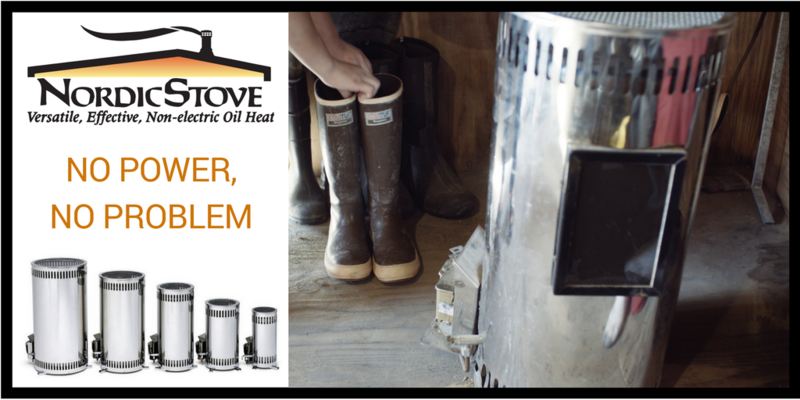 The Heaters will give you years of trouble-free service. They burn heating oil and no electricity is necessary. Nu-Way is super portable and simple to use. 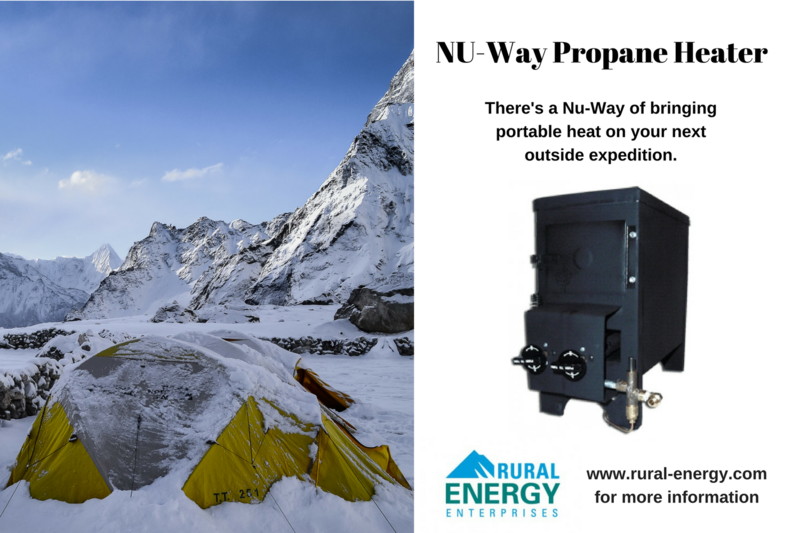 NU-WAY propane stoves feature a compact and lightweight design. These features along with a warming plate on top to keep coffee warm, toast a sandwich, or warm a pair of gloves makes our stoves a must have for your next ice fishing or hunting season. Rural Energy has been working on a newly redesigned website. 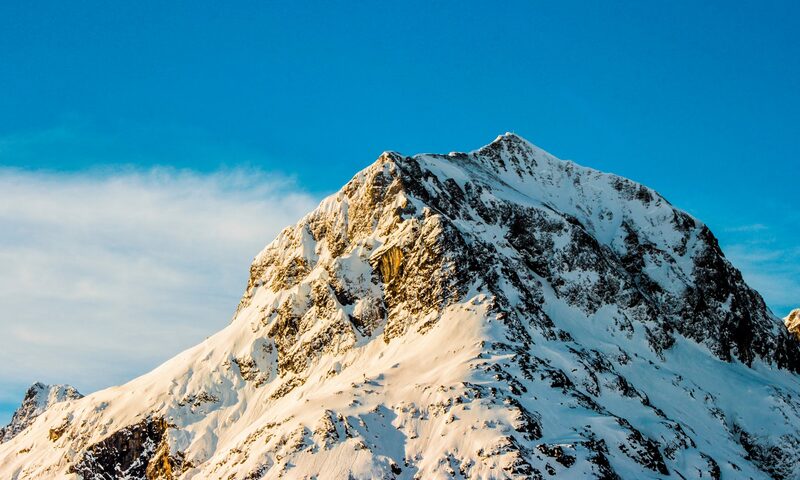 We are really excited about the new site. It will be launching soon and we will follow up with the official announcement. 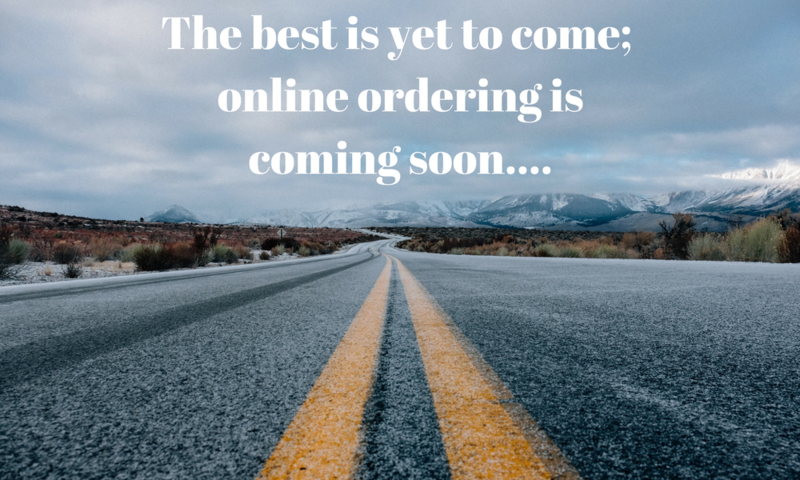 The new site will make it easier than ever to do business with us.